Hey there everyone! 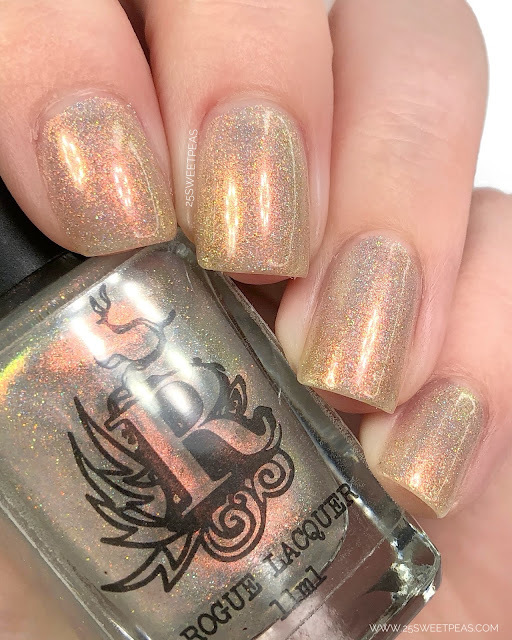 So as we are in kind of a transitional period in the polish work that "I'm tired of winter, why can't it be spring" today I am just swatching some pretty polishes I received a little bit ago when working on another project, AKA PPU! 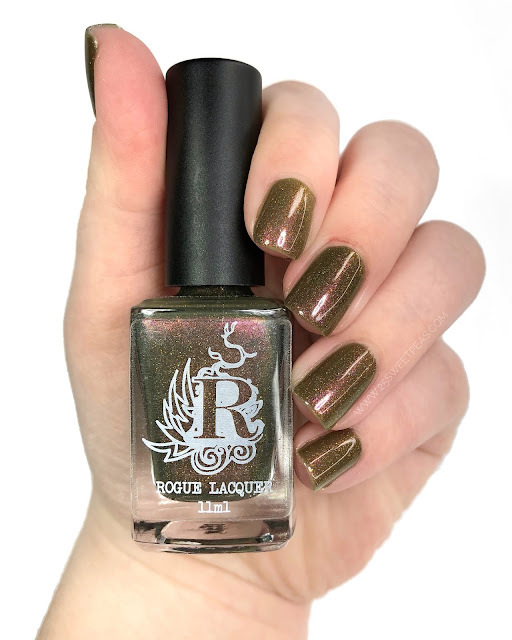 :) Today we are looking at the Not Your Average Holiday duo from Rogue Lacquer and it is really just that, and I love it! Lets take a peek! 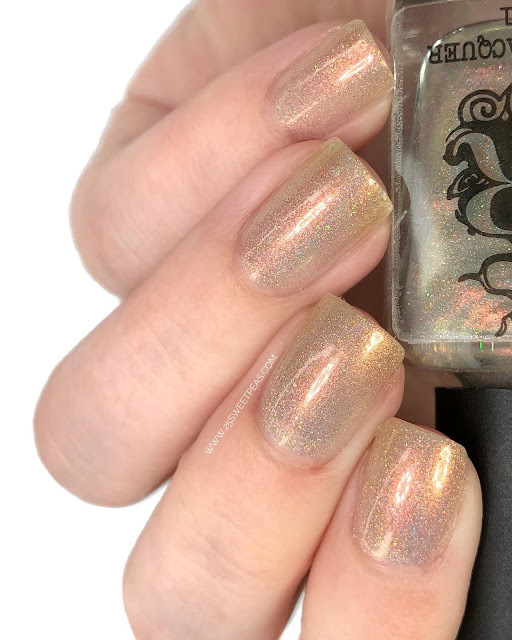 A shimmery neutral with a major golden to warm orange shift plus a holo shimmer. 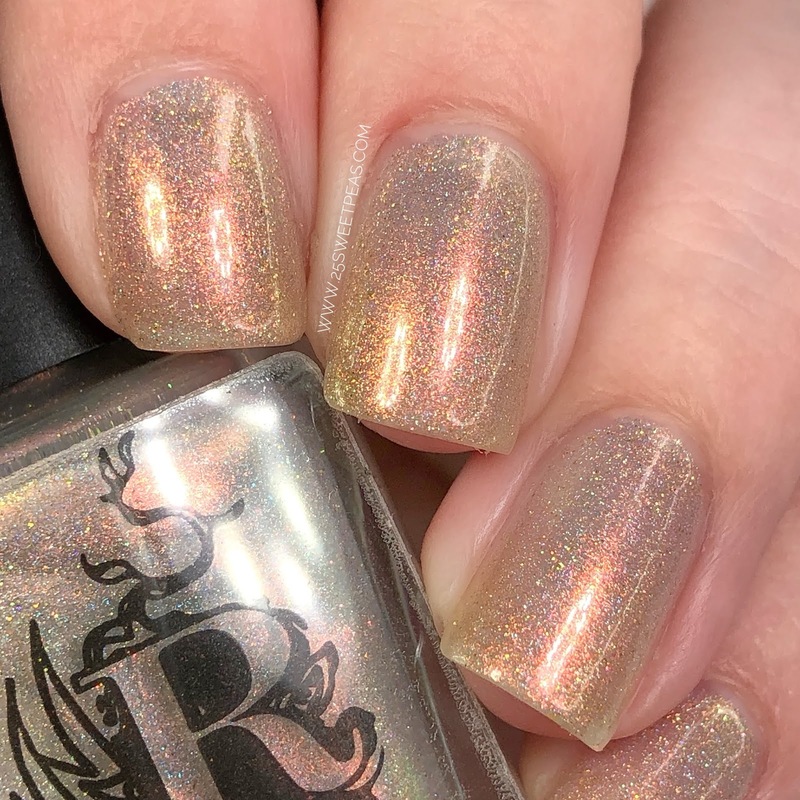 This polish is so nice and lovely! It applies perfectly in 2-3 coats. I needed 2 but if you have super bold nail lines you may want a 3rd coat to finish it off. I Love the warm feeling this polish gives off and it think its just lovely. Plus in one coat I think this would make a super neat topper! 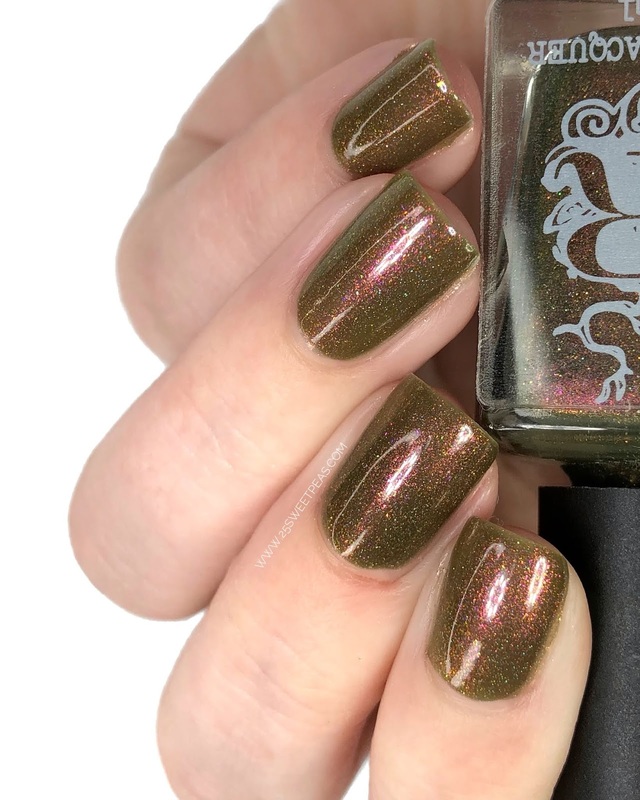 A shimmery mossy green that had a touch of a brown, as well as a magenta shimmer and a touch of holo. 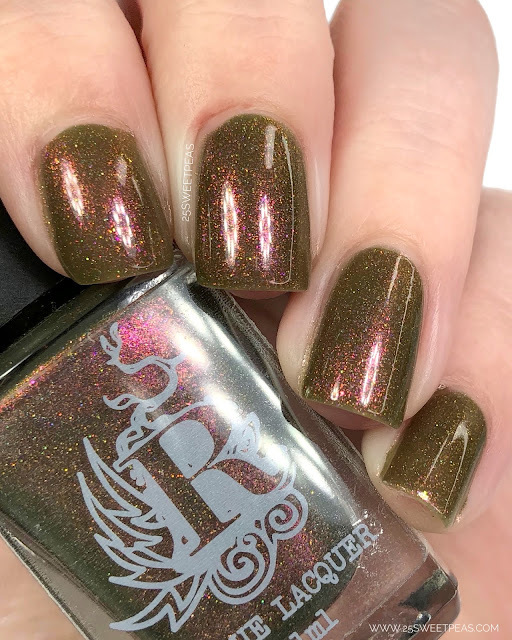 This is such a neat mossy green/olive green polish that looks so interesting on, and not ugly might I mention! :) Its magenta pink shimmer is super neat, I love the combo it just works so well. 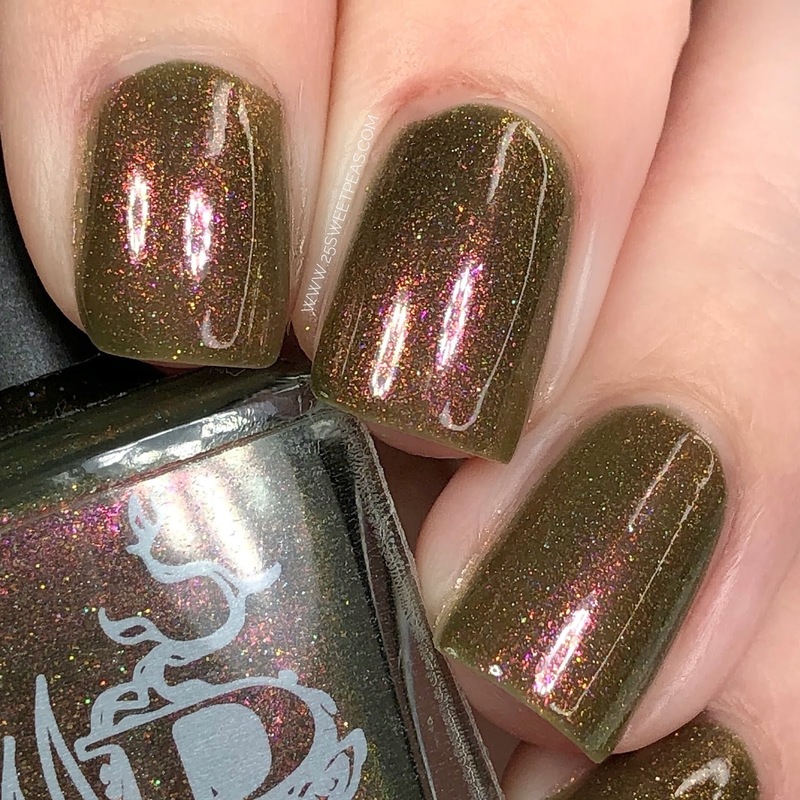 The formula was excellent, and the polish applied perfectly in 2 coats! Well guys thats it for today! Working on a lot of fun and exciting things for later this week and really the whole month of February. I'm excited for all of it. 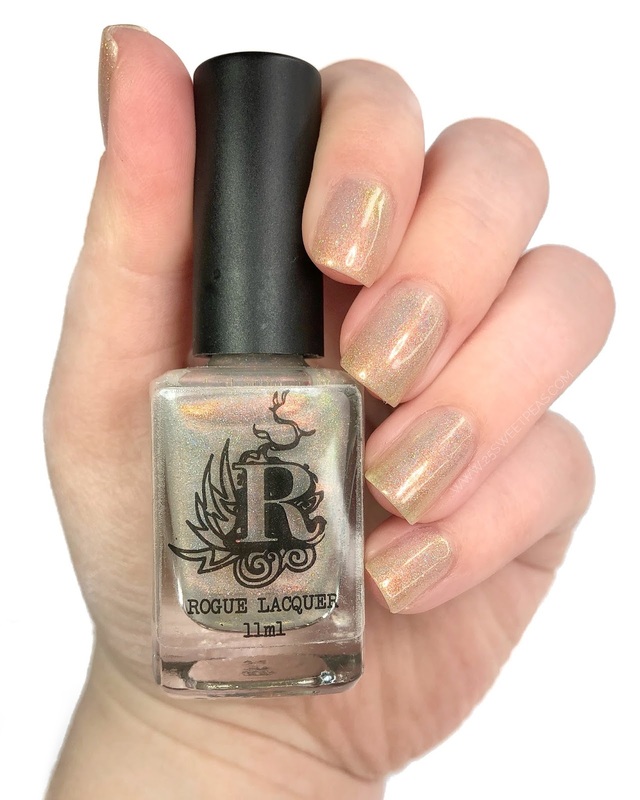 So as I mentioned these polishes have been out for a bit but I did notice they were on sale right now which was what gave me the final "yep I need to do this" to do this post this week. You can check it out here. 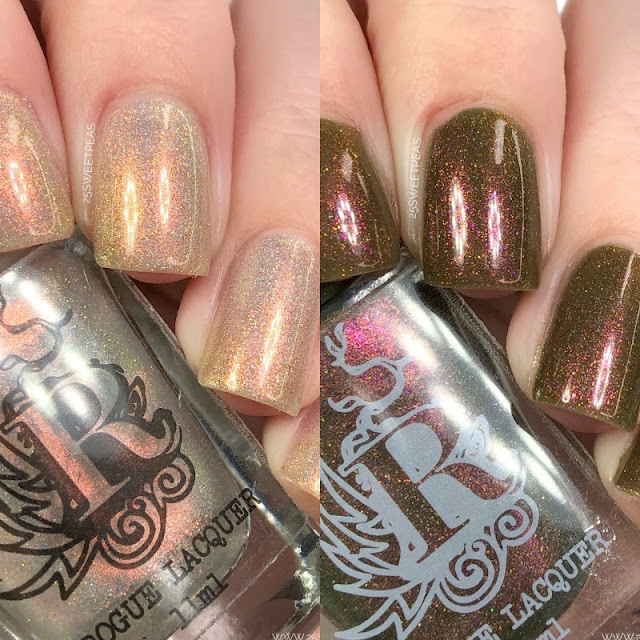 They are on sale as a duo and as solo polishes. Anywhoo that is a wrap for today, hope you are all having a wonderful day and I will talk to you very soon! Oooh these are right up my alley! Gorgeous swatches! These are both gorgeous! I loved wearing them. Unicorn Blood is absolutely beautiful.